This scientifically validated psychometric self-assessment tool reveals your inherent personality traits as they pertain to the concepts in the book. It tells you exactly where you fall on a “mastery” spectrum in the book’s four developmental areas—unearthing exactly where you are limiting your greatness. This is the self-awareness piece that truly sparks change and pushes you to move toward balance, wholeness, and a life in which you thrive. By the way, your results are 100 percent confidential, so you can feel free to be completely honest when you answer the questions. 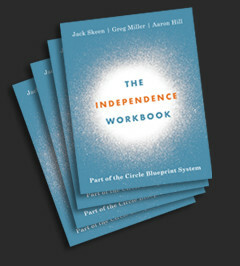 The Circle Assessment is part of The Circle Blueprint System. Click here to learn how it all works together.